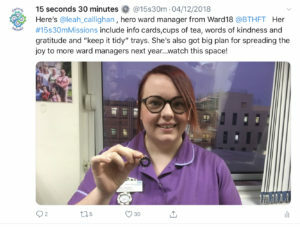 This month’s blog is from Leah Callighan, Ward Manager at Bradford Teaching Hospitals NHS Trust. “As a Ward Manager, I feel in an incredibly privileged position that I have the ability to create happier working environments for my team as well as creating positive patient experiences. “I remember when I joined the Trust as an Apprentice Receptionist back in 2006 and behind my desk was a poster saying “Failing to prepare is preparing to fail” which has always stuck with me. It is simple – regardless of who you are, what you do, where you work, if you are organised in your day to day approach things will run so much smoother and you, as well as your team, will learn to love your job! “When I started in post on my current ward the first thing that stood out for me was how unorganised and cluttered things felt. As you never get a second chance to make a first impression, I was concerned that patients and their families wouldn’t have much faith in us caring for them at such a vulnerable time. I spent two days rehoming and organising things to be more productive which has proved a massive success. It is amazing what you will find and how other people perceive your area when they first arrive. Remember it is not personal – be open for change and have faith what people are telling you. 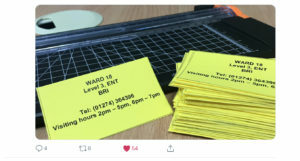 “My first 15s30m Mission was to hand out cards to patients and relatives, letting them know what time the ward was open to visitors and our direct phone line. This reduced frustration for staff who weren’t familiar with the external number and previously had to find time to ask someone and then relocate the relative to relay the information. It also brought joy to relatives who felt welcomed and secure they could contact us anytime. Ward Rounds are a key part of the patient journey, but are often perceived as an ordeal. Leah’s approach has changed the way all staff think of their role. 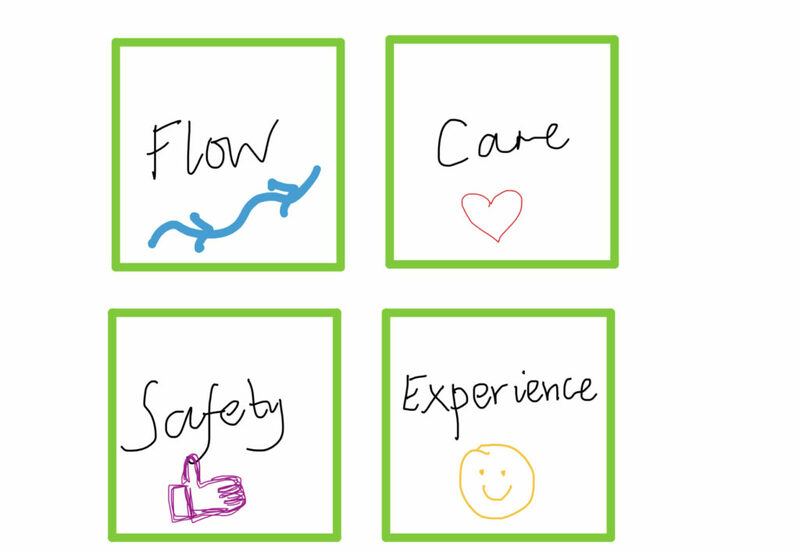 “I think of there being 4 elements that a ward round can address for any patient: improving patient flow, patient care, patient safety and patient experience. Being a leader is a hard job but an incredibly rewarding one. We need to acknowledge all people have different levels of experiences and knowledge. “No matter what your role is within the team, everybody is a leader and it is our job to help people to believe this in themselves. “Be open for change, stay positive each day no matter what is thrown at you and just remember – magic happens when you step out of your comfort zone! 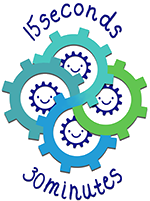 15seconds 30minutes is a social movement to reduce frustration and increase joy. Anyone can join us, taking a few seconds now to save someone else time later on. Rachel Pilling and Dan Wadsworth were 2017 NHS Improvement Sir Peter Carr Award Winners. © 2019 15 Secs 30 Mins. All Rights Reserved.